There has been an almost frenetic pace of change to the UK tax rules, which every investor into UK residential property needs to understand. This article aims to provide a summary of the key UK tax implications for non-UK resident and non-UK domiciled individuals, i.e. have a permanent home outside the UK. The first tax you will come across in the life cycle of UK residential property ownership is stamp duty land tax or SDLT, which is a transaction tax payable on the purchase of UK property. The rates for residential property vary between zero for very small purchases and 15 per cent for some high-value purchases above £500,000 (Dh2.35 million) by companies rather than individuals. Since April 1, 2016, higher rates of SDLT (3 per cent above the standard rates) have been payable on the purchase of “additional” residential property. Broadly, the higher rates will apply in circumstances where the purchaser or their spouse already directly owns another property anywhere in the world. Broadly, the higher rates will apply in circumstances where the purchaser or their spouse already directly owns another property anywhere in the world. An individual buying a first property for £750,000 would pay £27,500 (or 3.67 per cent) in SDLT. If it was an “additional” property, SDLT would be £50,000 (or 6.67 per cent). At £2 million, the figures increase to £153,750 (or 7.69 per cent) for a first property, and £213,750 (or 10.69 per cent) for an additional property. The next phase in the life cycle of holding a property is actually owning it, and there are two taxes to consider here: income tax and the unhelpfully named annual tax on enveloped dwellings (Ated). If the property is rented out, income tax will be payable on the net profits of the rental business. If the property is owned by an individual, the maximum rate of income tax is 45 per cent, although that will only apply on any UK income above £150,000. The more common rates are 20 per cent and 40 per cent. In working out the net profit of a rental business, you can deduct certain expenses, including letting agent fees, replacing furniture and mortgage interest, although the tax relief on mortgage interest is gradually being restricted to 20 per cent. For a non-UK resident individual renting out a property on a commercial basis, there can be advantages in holding the property through a company. The maximum rate of tax is only 20 per cent (potentially reducing to 17 per cent from 2020) and full mortgage interest relief is available. However, there are costs in running a company and ownership by a company is not a good idea if you’re planning to use the property. Ated applies to companies holding UK residential properties with a value of more than £500,000 and are not let on commercial terms. It has existed since April 1, 2013 and its scope has been broadened twice, in 2015 and 2016. This tax does not apply when a property is held in the name of one or more individuals. The annual tax liability is determined by the value of the underlying property and currently ranges from £3,600 for properties with a value of £500,000-£1 million, to £226,950 for properties with a value of over £20 million. Reliefs from Ated are available for companies carrying out commercial activities, such as letting the property to unconnected tenants. The final part of the life cycle of property ownership is sale. The tax relevant here is capital gains tax (CGT). For non-UK residents who have not been a UK tax resident within the past six tax years, CGT is payable on the post April 5, 2015, element of any gain made when a property is sold or otherwise “disposed of” (for example, by making a gift). The rate of tax is generally 28 per cent although a small part of the gain might be taxable at 18 per cent. Everyone is allowed a tax-free amount for all their chargeable gains for the tax year, which is currently £11,700 (Dh55,670). Everyone is allowed a tax-free amount for all their chargeable gains for the tax year, which is currently £11,700 (Dh55,670). For non-UK companies, when selling or disposing of a property, CGT is payable on the gain made during which the property has been subject to the Ated regime at a rate of 28 per cent. Days during which the property was not subject to Ated, e.g. the property was let to unconnected tenants, are discounted from the overall liability. This means that tax can sometimes be payable from April 2013 onwards. The fact that CGT only applies to the post-April 2015 (or sometimes April 2013) element of gain realised by non-UK residents disposing of UK residential property means that the large historic gains realised by people who have held property for a long time can still be realised tax free — this is a huge bonus. If you hold your property through a company, as a non-UK resident you can sell the shares in that company free of CGT — but that is going to change from April next year. For the last tax, we need to move to the life cycle of the individual. Possibly the most unpopular tax for UK residential property owners is the inheritance tax or IHT, which is due on the death of an owner. Why is IHT so nasty? Because, if it applies, it is payable on the entire capital value of the property, not just any element of gain, at a rate of 40 per cent, with only a very small allowance of up to £325,000 or £500,000 from 2020 in limited circumstances. The good news is that IHT mostly only applies to non-UK domiciled people in respect of directly held UK assets. However, the position is different for UK residential property, to which IHT now applies irrespective of how it is held. Why is IHT so nasty? Because, if it applies, it is payable on the entire capital value of the property, not just any element of gain, at a rate of 40 per cent. It used to be possible for non-UK domiciled people to avoid IHT completely by holding residential property through a non-UK company. That is why so many people were prepared to pay Ated as a price for escaping liability to IHT. Unfortunately, from April this year companies holding interests in UK residential property are now “looked through” for IHT purposes, and IHT is now charged on the death of a shareholder, or on an individual who has made a loan to the non-UK company which has been used to purchase or improve the property. Where shares or the property itself are owned by a trust, the position is more complex, but IHT in some form or another is likely to be payable. IHT may also be payable if assets are given away during an individual’s lifetime. 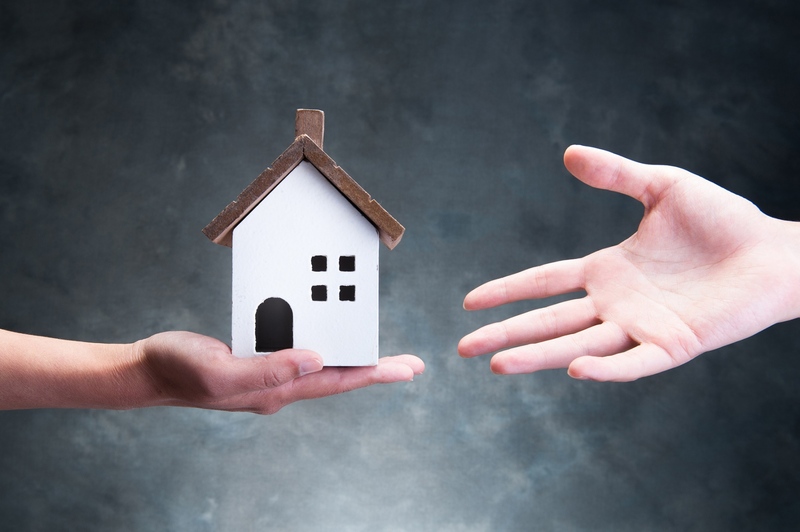 Particular care should be taken if an individual gives away an interest in a property but intends to continue to benefit from the property, i.e. to enjoy rent-free occupation or an entitlement to some or all of the rental proceeds, since that can make the gift ineffective for IHT purposes. Luckily, there are good strategies available for dealing with IHT, which means that although it sounds nasty in practice it should not be a disincentive for investing into UK residential property. For example, any UK residential property passing to almost any spouse will be free of IHT. All that is needed is to hold the property jointly with the spouse in the correct way, or to make a will passing the interest in the property to the spouse. Any UK residential property passing to almost any spouse will be free of IHT. All that is needed is to hold the property jointly with the spouse in the correct way, or to make a will passing the interest in the property to the spouse. If the property cannot pass to a spouse, then life insurance can be taken out to provide the funds to meet any IHT charge. This is much more readily available to non-UK residents than was the case in the past, and premiums can be surprisingly low, making the cost of managing IHT exposure very affordable. Although investing in UK residential property is more complicated from a tax perspective than it used to be, the UK tax landscape is very manageable and competitive by Western standards, while simple steps can be taken to reduce any issues to a minimum. But always remember that taking tax advice specific to your situation is an excellent investment: the right answer for your neighbour may not be the right answer for you. Piers Master is a partner and David Wells-Cole is an associate at Charles Russell Speechlys. The views expressed here are their own.